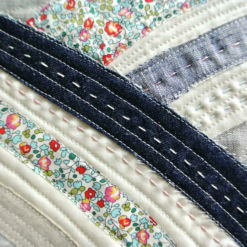 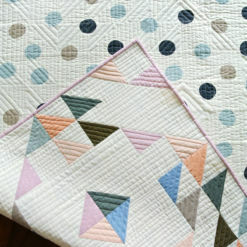 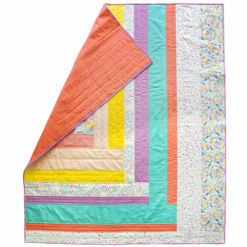 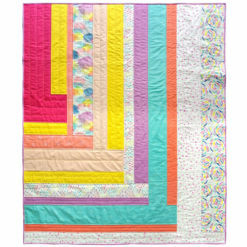 Get a full hand quilting tutorial (with video) here! 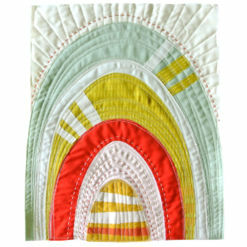 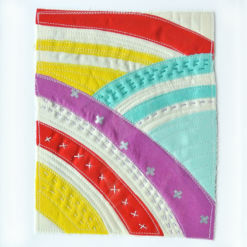 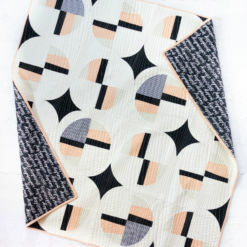 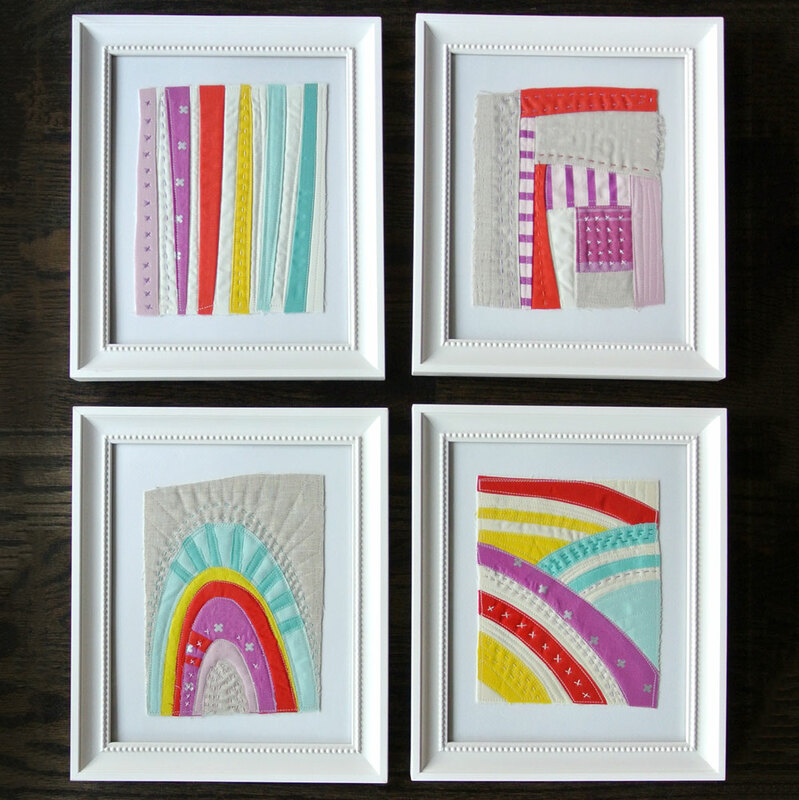 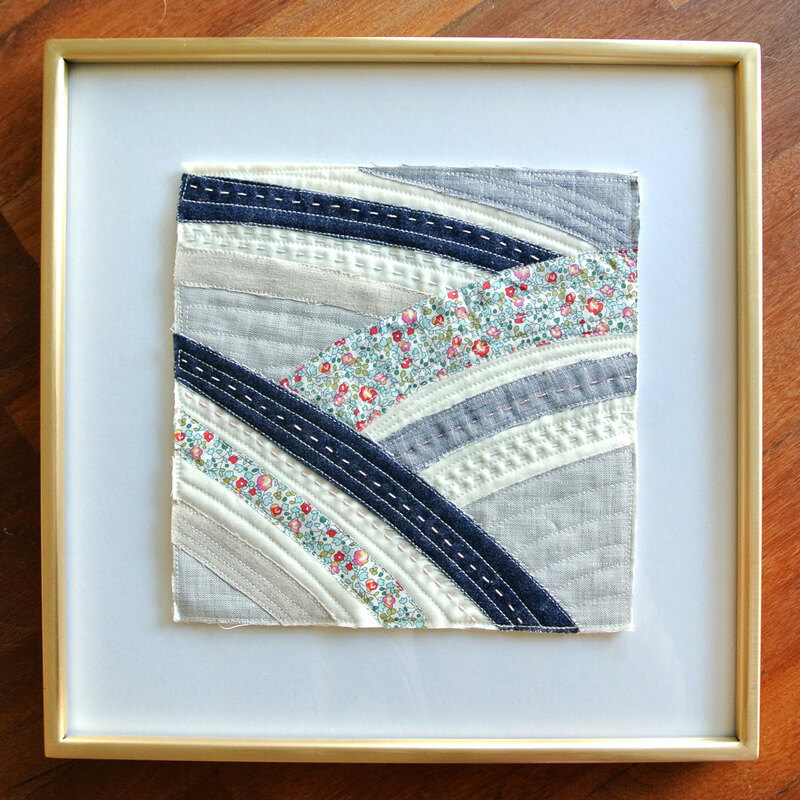 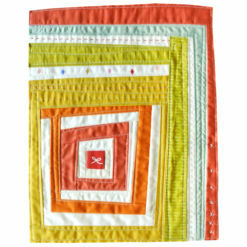 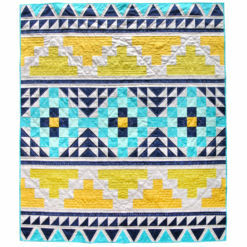 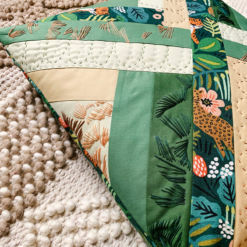 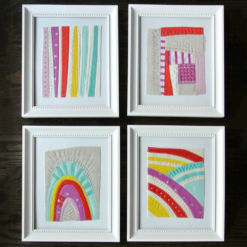 For more info about this Sew Mojo mini quilt series, visit this blog post. 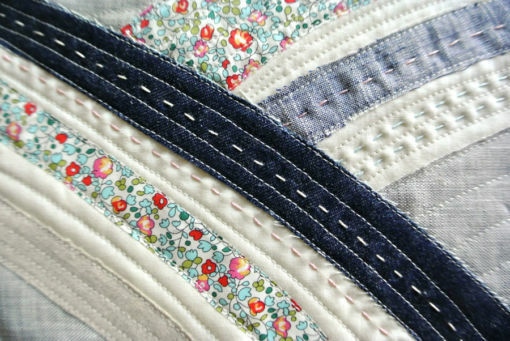 2. excitement at the thought of or during the process of designing and creating with fabric 3. the art of sewing without fear of mistakes, wasting fabric or the end result. 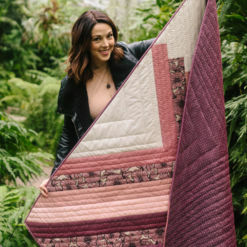 Whether you are a brand new quilter, a seasoned sewist, a textiles artist with designer’s block or even a crafter looking for a fun, simple project, this Sew Mojo mini quilt series is perfect for you. 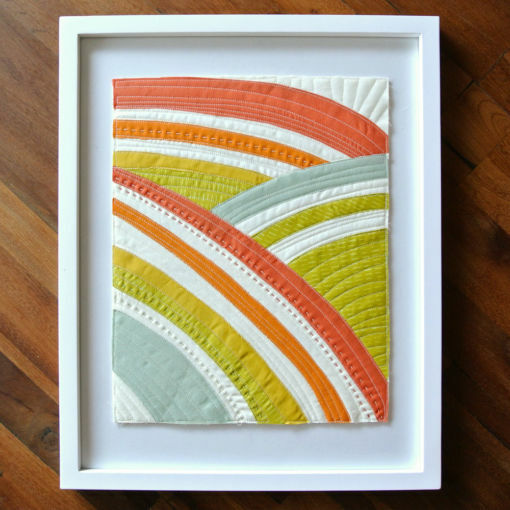 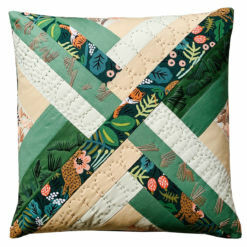 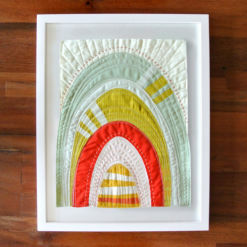 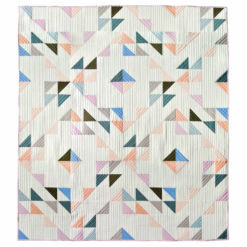 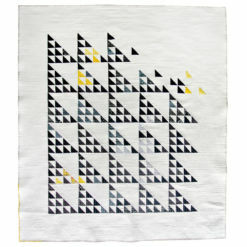 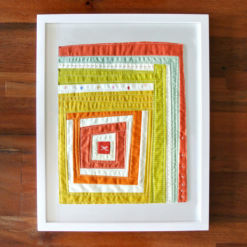 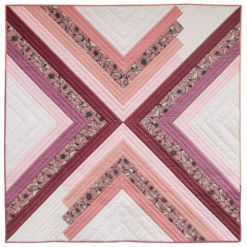 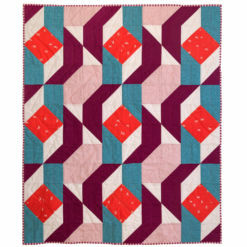 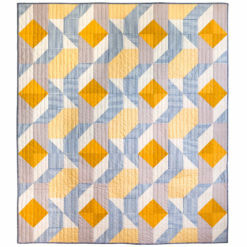 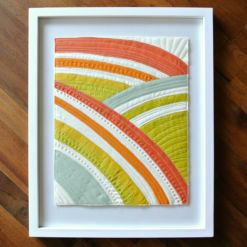 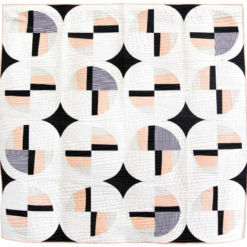 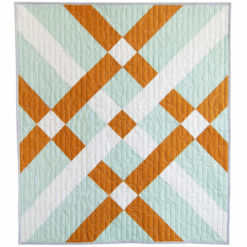 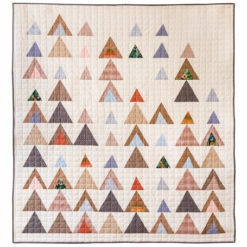 The average quilter can make one of these minis in an afternoon. 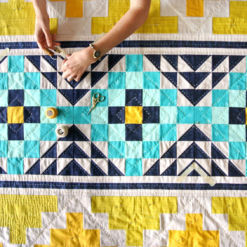 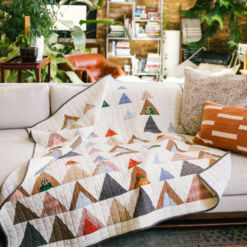 For a newbie, this is a great way to practice working with fabric and your machine without the huge commitment of making an entire quilt. 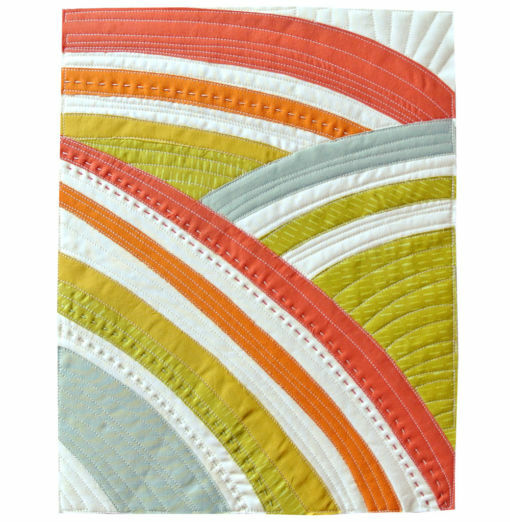 Sew Mojo is a series of 4 mini quilt “lessons” designed to teach basic quilting skills as well as loosen up and break some of the quilting rules that can bog us sewists down.